And that flight simulator was an old relic with no visuals as the screen was busted and they never bothered to make repairs. It with great pleasure and honor that I share my first article on this amazing forum of Disciples of Flight. As I have described in my author bio, I am an aviator who started my career at an aeronautical college of engineering. I graduated and after practicing engineering for a year I went to South Africa for my flying course, where I attained my commercial pilot’s license. During my time in South Africa, I was exposed to the efficient and highly advanced aviation system that was employed by the civil aviation authority of South Africa. 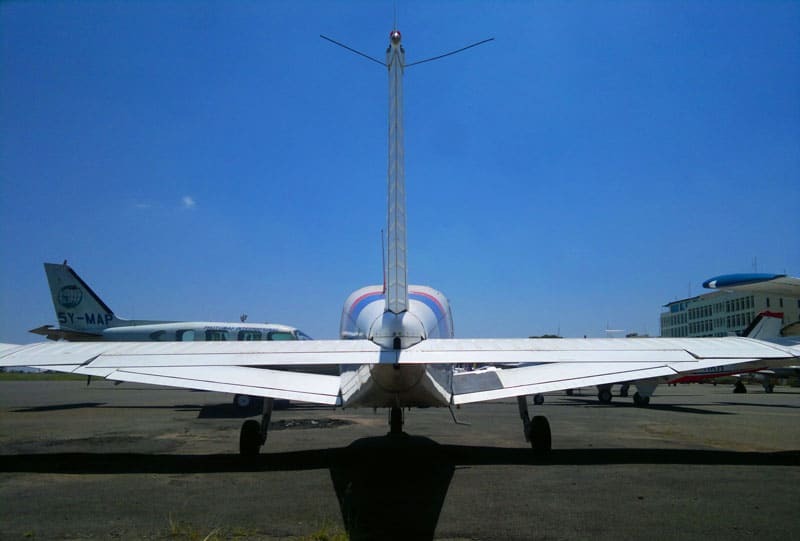 After my three years training and freelance flying in South Africa, I returned to Kenya and continued my duties as an aircraft technician as I went through the process of converting my pilot license. It’s at this stage that I was introduced to the flight simulator training situation in Kenya. 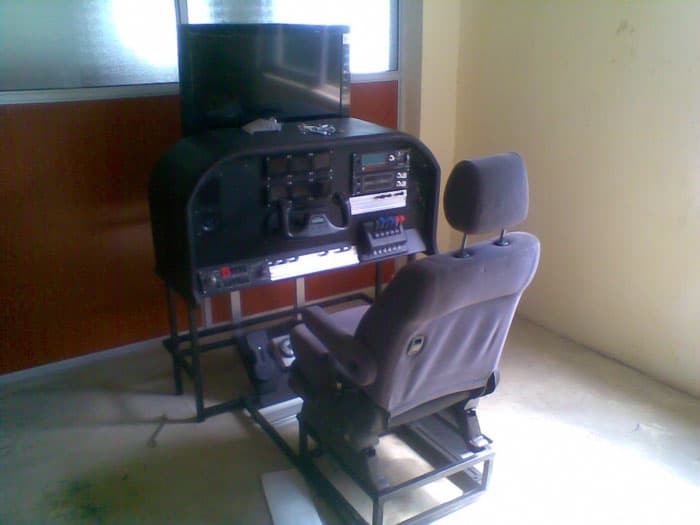 At that time, in 2011, Kenya had only one flight simulator training device for about 13 flight schools and hundreds of pilots. And that flight simulator, which at that time which was operated by the Kenya Civil Aviation Authority (KCAA), was an old relic with no visuals as the screen was busted and they never bothered to make repairs. The simulator1 had analogue gauges which were not accurate and kept failing, and only the sim instructor knew of their defect and how to remedy it. The simulator instructor was an ex-air force pilot and long-serving trainer. He is a thorough aviator and spent most of the hours in his day at Wilson airport, as he was in by 0500 hrs and usually left last, at way past 2200 hrs. As training aircraft became more sophisticated, during an era when there was no existing simulator to talk about, why didn’t the simulators grow in proportion to the aircraft? Photo of the flight simulator, from Clifford Obara. This is the question I intended to answer when I decided to quit employment as an engineer and start a company that offered the vital service of a flight simulator that I and others missed out on. So I partnered with a few fellow aviators to invest in a flight simulator. We decided to do a home built simulator to reduce the cost of acquisition and maintenance. In doing this, we imported equipment from England and as parts arrived we acquired a PC and the required flight simulator software, and then proceeded to assemble the imported parts and built a flight deck with local carpenters and material. To our credit, we built a quite accurate flight deck replica. During this venture, I received a lot of support from my friend and fellow aviator who is a first officer for the national carrier. He was very instrumental in bringing the hardware and software together to work as a unit. I recall he would return from an international flight and join me at night at the Wilson airport, where we had our office, to discuss the progress made and how to fix and issues. We eventually had it setup and fully functional. A couple of years later, I met a team of youthful aviators who were setting up a flight school and wanted the simulator to boost their portfolio. This was great as I also needed an ATO (approved training organisation) to boost mine and this partnership has lasted to this very day. In addition to the simulator, we also leased a C-152, C-172, PA-28 and a PA-34. 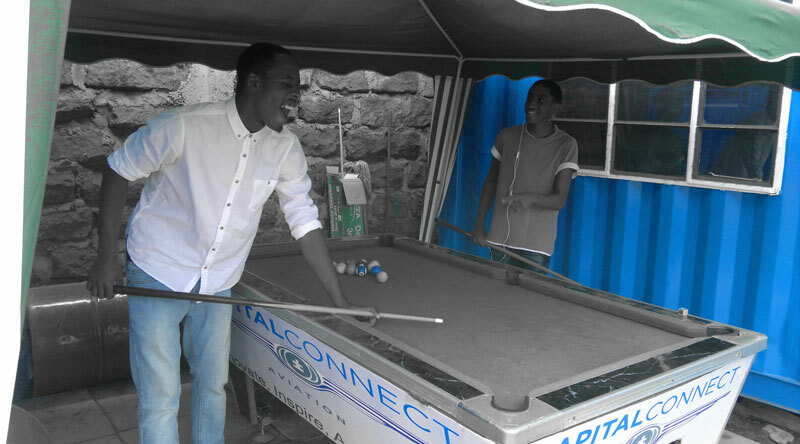 I am currently are working with the Technical University of Kenya to improve the simulator, which will include adding motion as well as improving the ergonomics of the sim. I want to keep on improving the sim capabilities and also use it as a learning aid for both aviators and engineers. My tribulations and challenges in getting into this venture is probably why other players either don’t want to be involved or just don’t think that simulator use is necessary for training pilots. 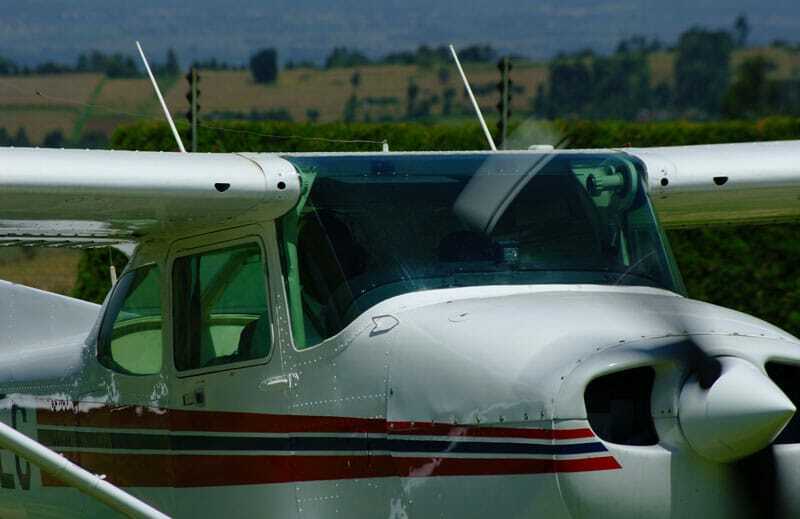 We currently have about 17 active flight schools in Kenya, and out of these, my school Capital Connect Aviation and two others are the only ones with a serviceable flight training device. And this statistic says a lot about the use and necessity of flight simulators in Kenya. Many operators either consider it an unnecessary expense or just feel the simulator will reduce the students time on actual aircraft and hence eat into their profits. 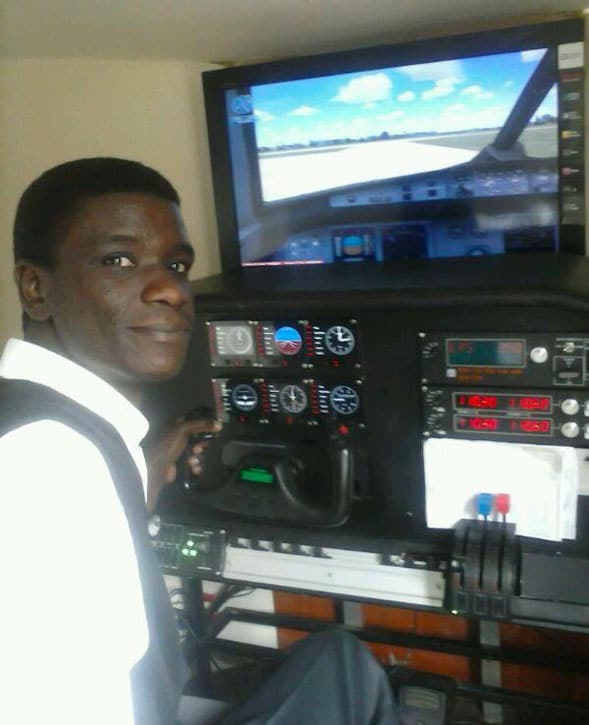 It’s this balance between profit margins and service to students that is the biggest unaddressed part of the debate as to why East African flight schools do not embrace the use of flight simulators. As operators continue to have students repeat exercises in aircraft, the students are forced to accumulate more hours flying during training. And this impacts the student’s career as he/she graduates with more hours than those required, and at a cost that he/she didn’t budget for, which leads to many students falling off from flight training after landing their initial PPL. This scenario has left instructors with hundreds of hours which they then use to secure employment with the airlines, which is usually their primary reason for instructing, rather than the transfer of knowledge to the students. The overall loser in this whole fiasco is undoubtedly the student and if operators do not put the student first and make them a priority in their business, we may end up with the same three flight simulators for a very long time to come. 1 – The old relic has since been decommissioned after it broke down, and the KCAA doesn’t have plans to repair it as it has left the task of simulator training to flight schools. The sim instructor started his own flight school and continues his duties as an instructor. 2 – This is the model of operation I am using to date until I am able to get a clarity on the registration guidelines. I am a 32 year old Kenyan, trained for my aeronautical engineering diploma in Kenya before getting my PPL and CPL in South Africa. After that, I returned to pursue engineering at various companies before finally settling into to flight instruction. My instruction career started with me investing in a simulator since the entire country was operating on ONLY one sim and this was not acceptable to me. Over time, it has been upgraded to a fully fledged flight school or what they call here an ATO (approved training organization). I really enjoyed this article Clifford. Thank you. Thank you Bryan its a pleasure to be part of this noble forum.